At the age of 31, Grammy Award-winning violinist Hilary Hahn is one of the most compelling artists on the international concert circuit. She was named "America's Best" young classical musician by Time Magazine in 2001, and appears regularly with the world's great orchestras in Europe, Asia, and North America. Highlights of Ms. Hahn's 2008-2009 season include the recording of the Tchaikovsky Violin Concerto, and some of the Bach arias with singers Matthias Goerne and Christine Schaefer. Highlights of Ms. Hahn's 2008-2009 season include the recording of the Tchaikovsky Violin Concerto, and some of the Bach arias with singers Matthias Goerne and Christine Schaefer. 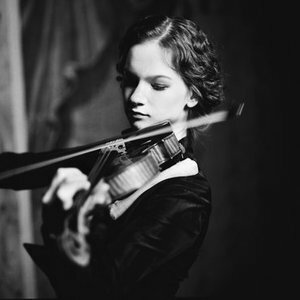 Despite being a classical violinist Hilary Hahn is also involved in other music genres. She collaborated with Josh Ritter, a folk-rocker. They made a tour in which she played classical pieces for solo violin, he sang songs from his albums, and they also played together. Hilary Hahn was born in Lexington, Virginia. From ten to seventeen she studied at Curtis with the legendary Jascha Brodsky - the last surviving student of the great Belgian violinist Eugene Ysa?e - working closely with him until his death at the age of 89. In May of 1999, at the age of 19, Ms. Hahn graduated from Curtis with a bachelor of music degree.